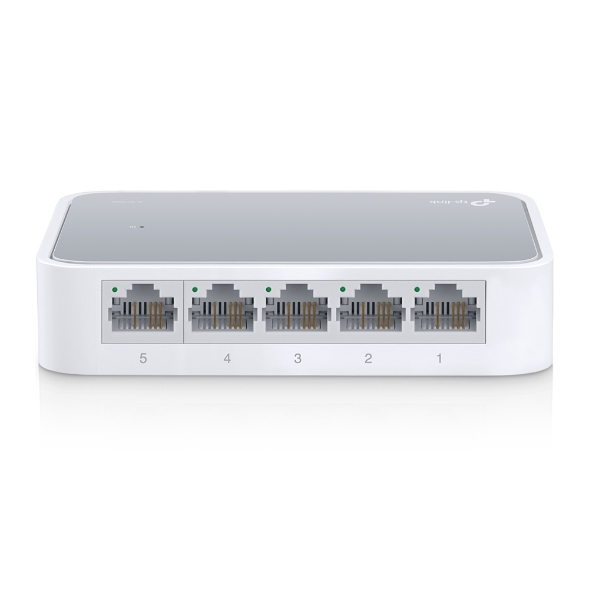 The TL-SF1005D 5-Port 10/100Mbps desktop switch provides an easy way to expand your wired network. All 5 ports support auto-MDI/MDIX, eliminating the need to worry about the type of cable to use. Featuring full duplex mode, the TL-SF1005D can process data at a rate of up to 200Mbps making it an ideal choice for expanding your high performance wired network. Moreover, with innovative energy-efficient technology, the TL-SF1005D can save power consumption, making it an eco-friendly solution for your home or office network. 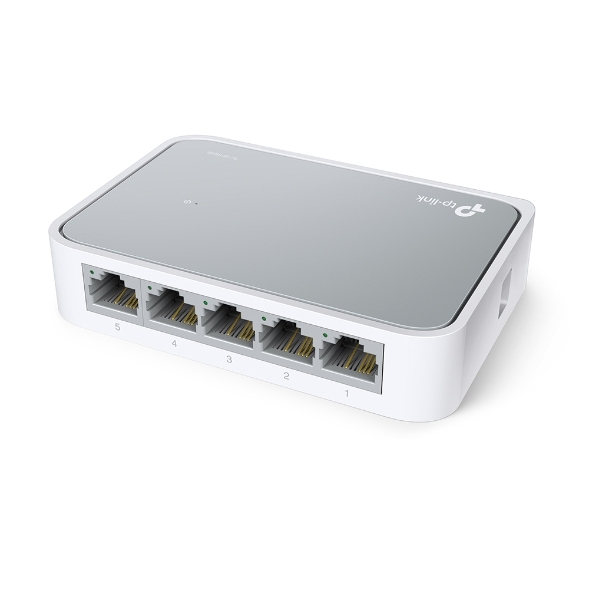 TL-SF1005D Fast Ethernet Switch provides 5 10/100Mbps Auto-Negotiation RJ45 ports. 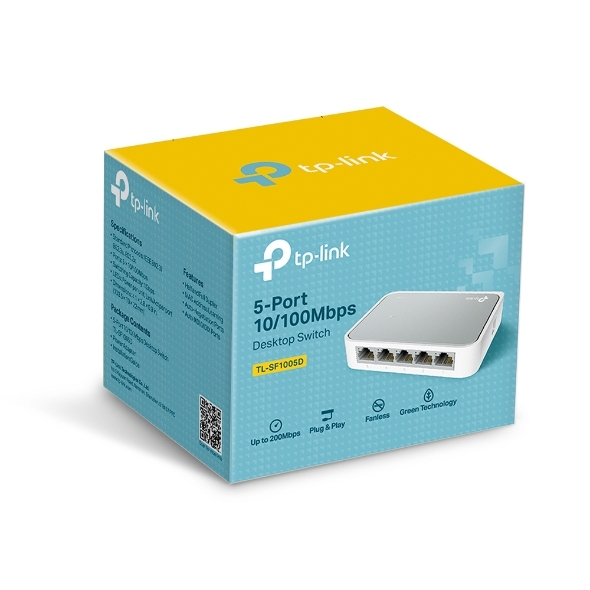 All ports support Auto MDI/MDIX function, eliminating the need for crossover cables or Uplink ports..Featuring non-blocking switching architecture,TL-SF1005D forwards and filters packets at full wire-speed for maximum throughput. With 2K Jumbo frame, the performance of large files transfers is improved significantly. And IEEE 802.3x flow control for Full Duplex mode and backpressure for Half Duplex mode alleviate the traffic congestion and make TL-SF1005D work reliably.